Our staff is committed to making the summer camp experience rewarding and memorable for all campers. Their enthusiasm and love of camp comes across in all they do. 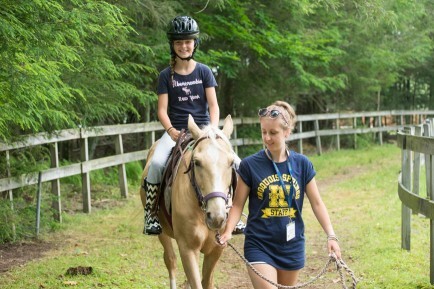 Staff provides a safe environment for campers to take healthy risks, build independence and develop confidence. It takes a special person to become a positive role model to a camper, and Iroquois Springs is filled with these extraordinary people. Staff working directly with campers includes Cabin Specialists, Activity Specialists and Group Leaders. The strength of this group gives campers the support, guidance and exceptional instruction we value. Campers receive the support of cabin specialists who guide them through their day to day routine, instruction from activity specialists who teach them new skills, and guidance from group leaders who oversees their division. It’s a dedicated team that cares for campers of all ages. Check out more about our Cabin Specialist, Activity Specialist and Group Leader roles here!